Are you looking for quality appliance repair in Evanston IL? 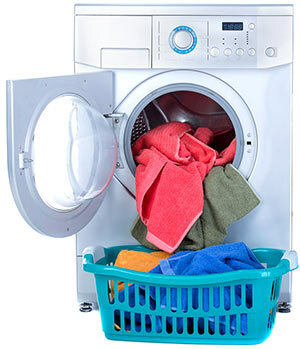 What is the most difficult part about finding help for a dryer repair in Evanston IL? Mainly, the fact that there are endless Evanston dryer repair technicians that do not have the right amount of experience. From older dryers to newer models with gas and steam functions, our Evanston IL repair experts have the knowledge and expertise to work on dryer parts that most others have never so much as seen before. If you have a newer model with more computerized dryer parts, you might be worried that your dryer repair could cost a pretty penny. While this is slightly true, we are able to grab dryer parts in Evanston IL at pretty affordable rates. If we ever save a few bucks from a special offer or coupon discount, we will let you enjoy those savings instead. All said and done, you end up paying the least possible for your dryer repair in Evanston IL by relying on one of our technicians. We expect compensation for the labor provided for the repair, and the parts we have to get for it. This is much less than what many other Evanston IL appliance repair services will want. Many others will charge for diagnosing the problem, visiting your home, driving to pick up parts, and much more. Whenever you need a dryer repair we are able to travel to you. Let us know the soonest time you can meet with one of our technicians at your business or house and we will make it work. There is nothing more understandable than wanting to have your appliance back in working order right away, especially when it makes all the difference in whether you have clean clothes. Give us a call right now to start figuring out how you can get your dryer working like new again. Is your dryer drum not turning, yet the motor is running just fine? If so, the most likely scenario would be that your dryer belt snapped. This is a standard repair for an appliance repair technician, so it will not cost much more than the price of the replacement belt. Also, make sure to run a shop vac and get all the accumulated lint out of the dryer cabinet once you take the drum out while replacing the belt as over time this lint buildup can damage the machine more.